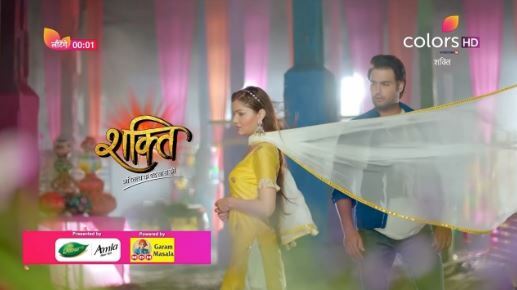 The Episode starts with Soumya telling Harman that she will go there. Harman asks her not to argue and says you will not go there. Preeto asks Soumya to go. Sweety asks if Soumya will come here as a maid? Sunaina says she has seen love in her eyes for Soham and she will come surely. Varun says she will not come, as she is Harak Singh’s bahu and he will not let her come. Harak Singh asks Preeto what she is saying? Preeto says Soham is our child and if Soumya stays there then she can record behavior of Varun and his wife with Soham and then we can show the recording to Panchayat and get our son back. She asks Soumya to think like them. Soumya asks Harman to sign on the NOC letter. Harman signs on it. Soumya asks Harak Singh to sign. Harak Singh says I didn’t understand this, and signs on the papers. Preeto also signs on the papers. Soumya thanks all of them. Varun tells Sunaina that Soumya didn’t come, and says I had said that she will not come. Just then door bell rings. Sunaina says I told that she will come surely. She asks Sweety to open the door. Sweety opens the door. Saya comes to Harak Singh’s house and asks about Panchayat decision. Preeto tells her that Soham is with Varun. Harak Singh says we will get the baby back, waiting for the chance. She asks where is Soumya? Harman tells that Soumya went to become maid in Sukha’s house and tells that Saas and bahu don’t understand. Saya says they will torture her. Preeto says the result will be good. Varun asks Sweety why she didn’t meet him two years back and tells that he would have married her and they would have baby. Sweety says don’t know if I would be with you now, if I met you 2 years back. Varun says he will give her all the happiness and hugs her, but the glass falls down and Soham wakes up and starts crying. Sweety asks Varun to handle the baby now. Soumya comes there with milk bottle and says she will feed Soham and have done all the work. Sweety asks if she has done favor on them and says you became maid with your choice. She says she will feed milk to baby. She takes Soham in her hand and takes bottle from Soumya’s hand and goes. Varun asks Soumya to chill and says I have brought new mother for him. Soumya says there is hope that a man gets better after becoming husband and if he becomes bad husband then it is hopeful that he will becomes a good father, but he failed to be a good father too. Varun calls her kinnar and tells that she is neither woman or man. Precap: Kinnars come to Sukha’s house. Varun and Sukha ask her to push them out. Soumya becomes helpless and asks them to go.